Netlist NVMe SSD excels in the demanding workloads of Enterprise and Data Center applications. The N1951 family of SSDs are NVM Express v1.2 compliant with up to three DWPDs (Drive Writes Per Day) for 5 years and ultra high performance. 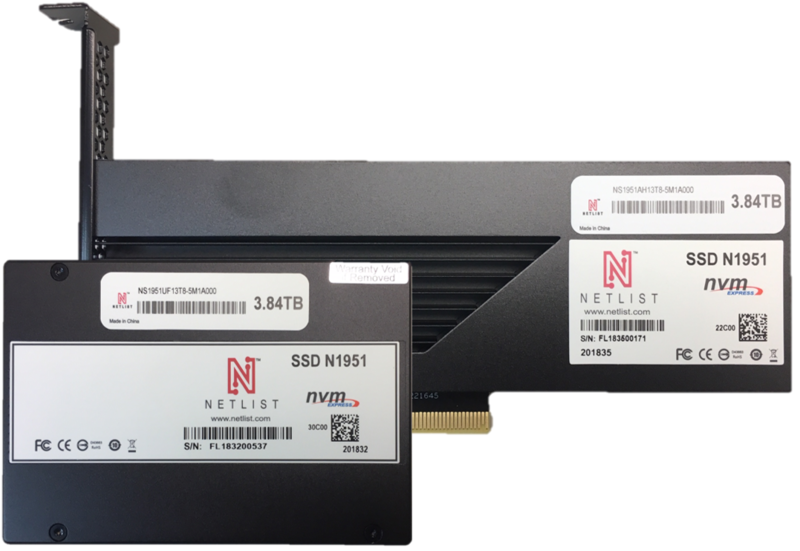 Netlist N1951 NVMe drives are optimized to surpass the needs of Enterprise and Data Center users.